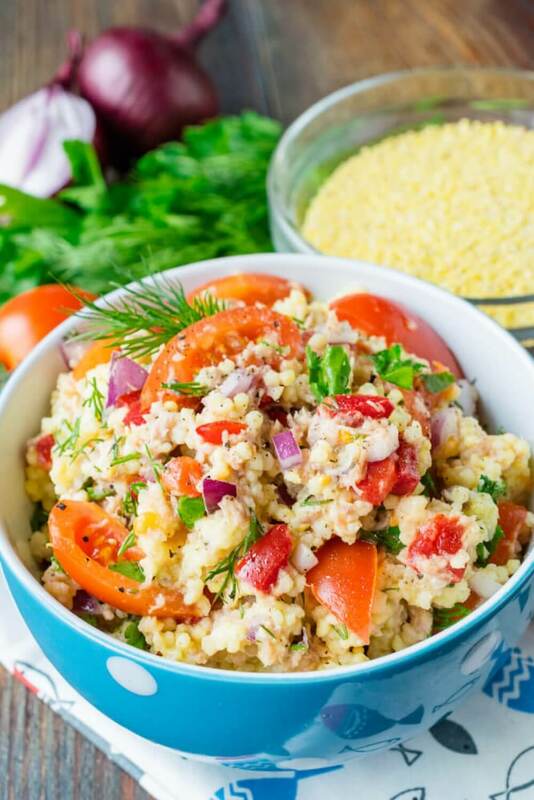 Tasty and healthy couscous and canned tuna salad - a great idea for an easy dinner for two. 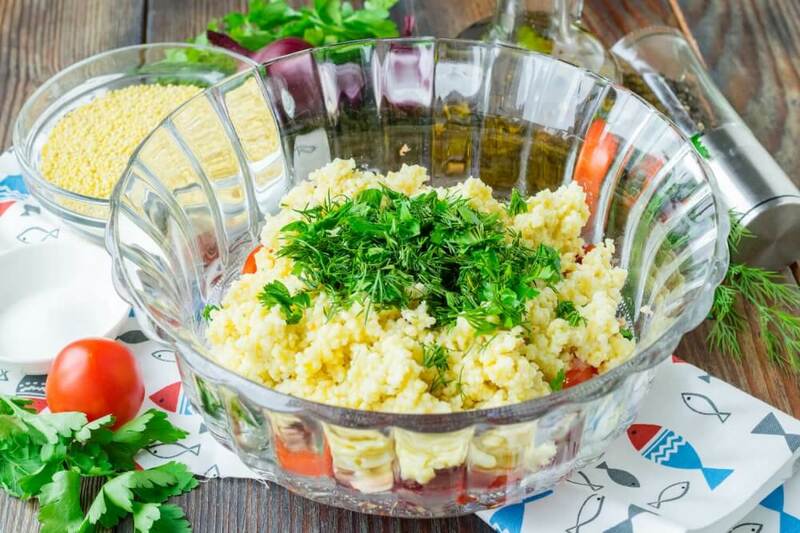 Fresh vegetables fill salad with bright colors, making a dish appetizing and juicy. It is possible to serve ready-made salad as warm and chilled. Besides vegetables it can be added canned corn, green peas or green beans to salad. 1. Wash couscous under tap water. Shift grain in a deep bowl. Add a little salt and black ground pepper. 2. 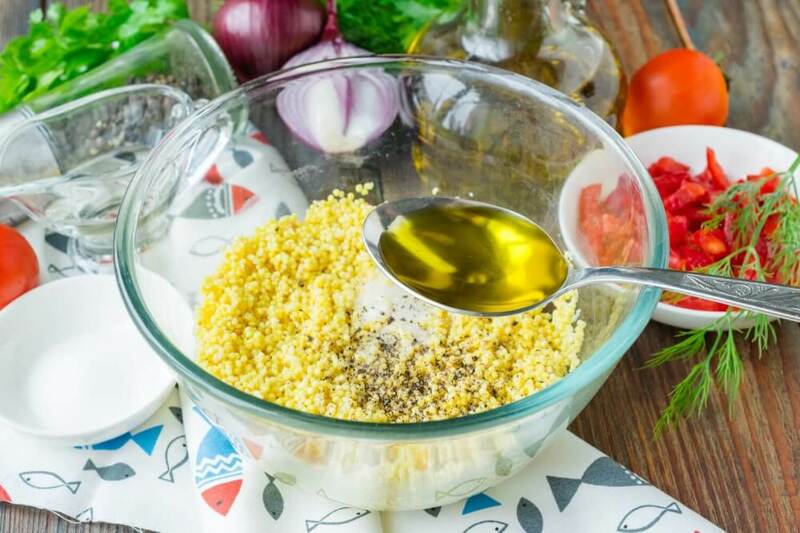 Add to couscous a tablespoon of olive oil. 3. Pour boiling water in couscous. Liquid has to cover grain on 1 cm. 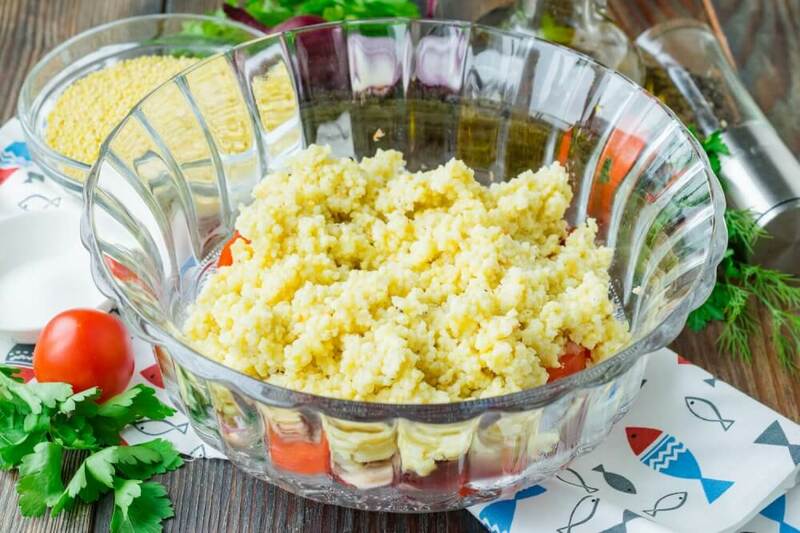 Cover ware and leave couscous for 15 minutes so that it is steamed and become ready. 4. Meanwhile let’s prepare vegetables. 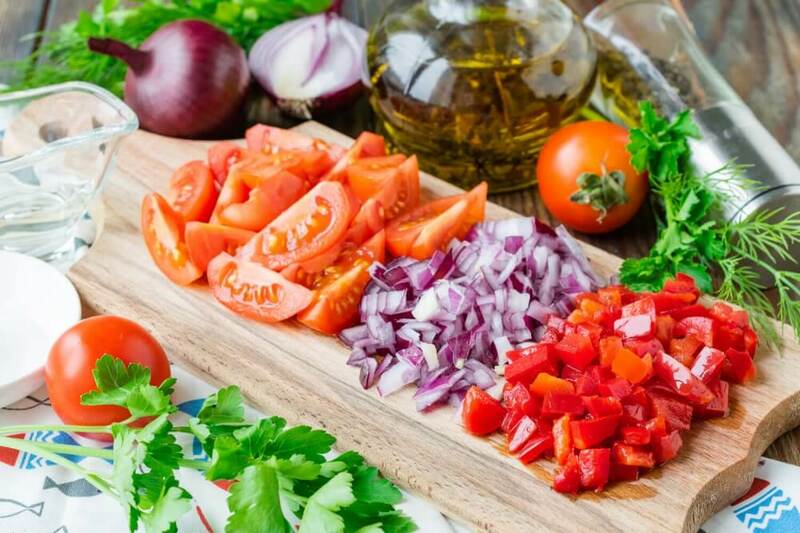 Cut cherry tomatoes on thin segments and cut into cubes red onions and red sweet pepper. 5. 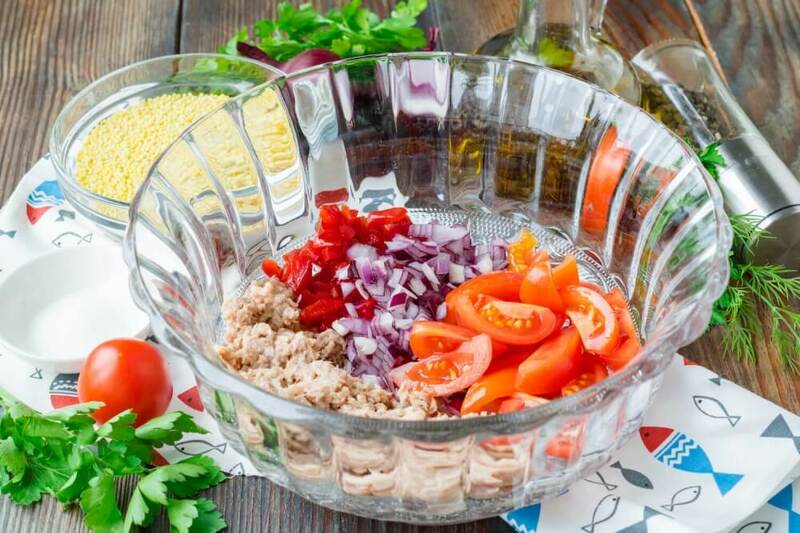 In a deep salad bowl let’s combine the cut vegetables and the canned tuna filtered from juice or oil. 6. 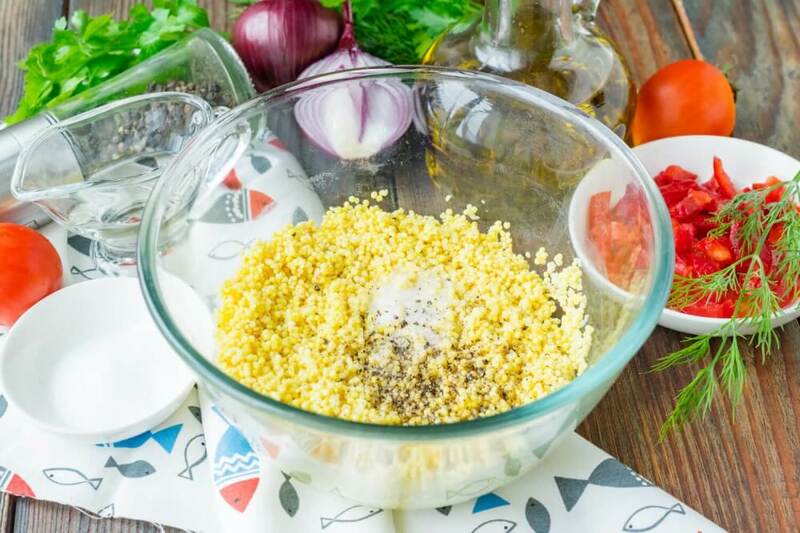 Next add steamed couscous to a salad bowl. Previously it needs to be cooled to room temperature. 7. 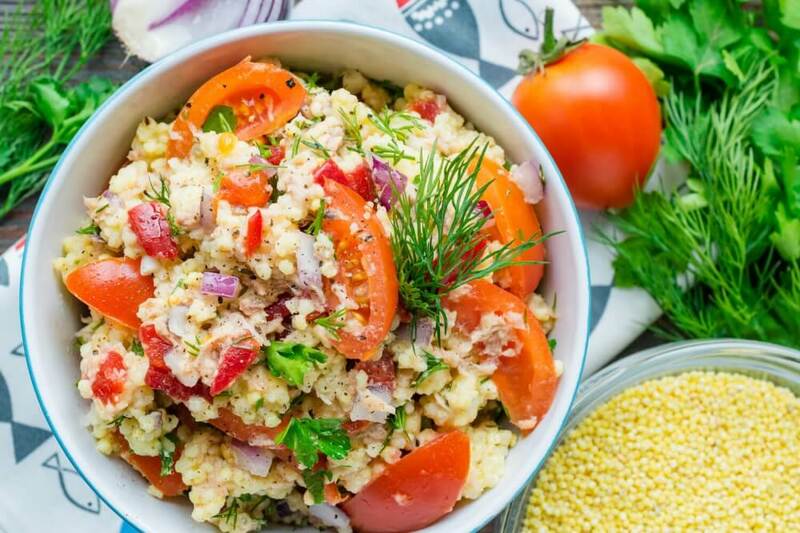 To make salad more colorful and fragrant, add small chopped greenery of dill and parsley. 8. 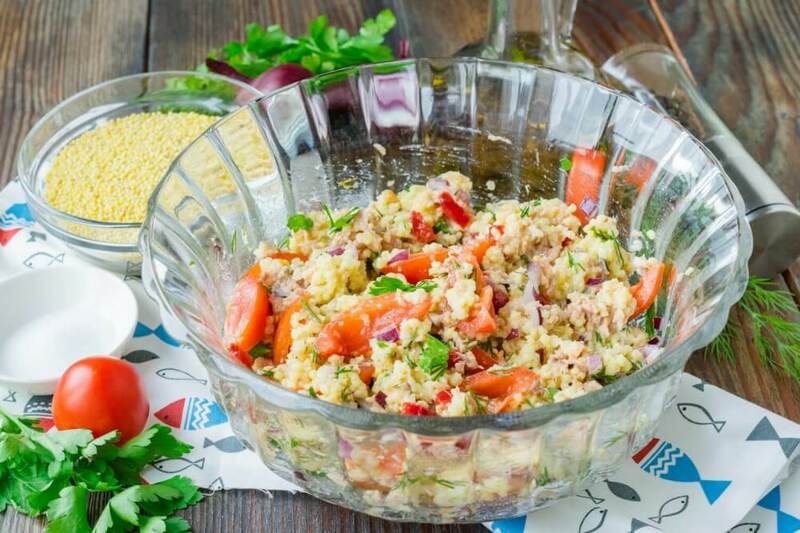 Let's water couscous salad with a small amount of apple or wine vinegar. 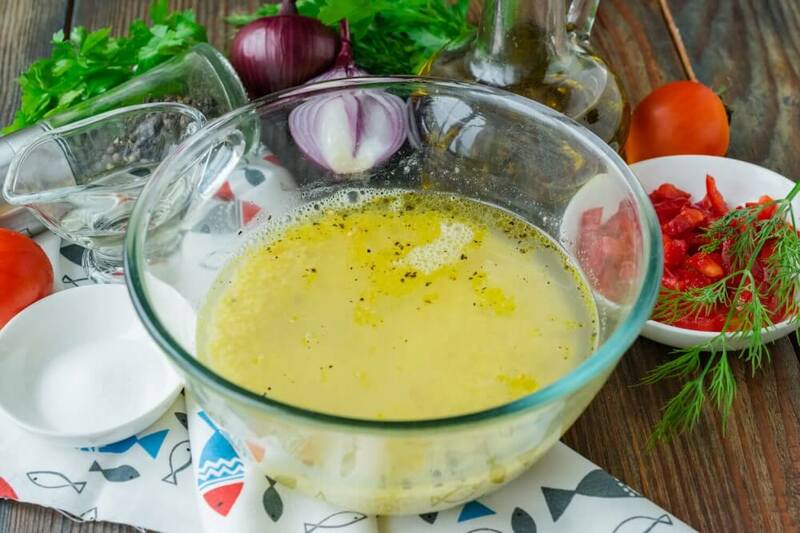 If necessary add a tablespoon of olive oil. Accurately mix salad so that all ingredients are connected. 9. 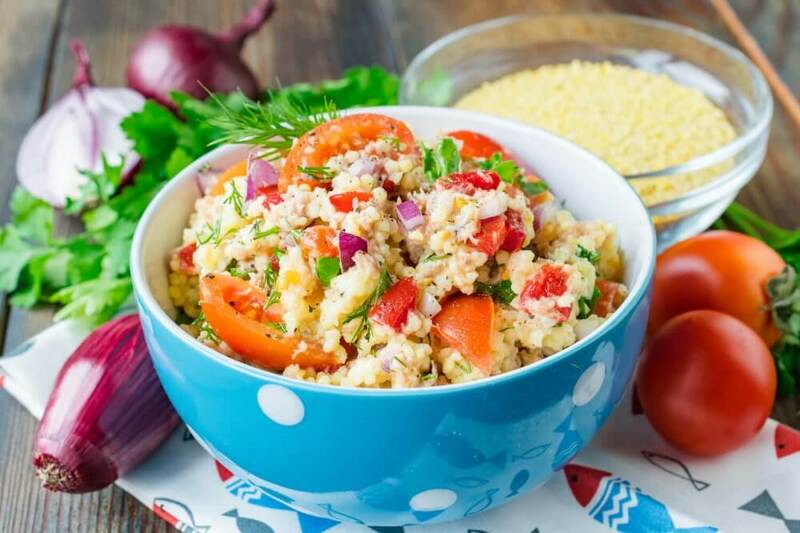 Ready-made couscous and canned tuna salad can be served right after preparation.